Brothel owner and Republican Assembly candidate Dennis Hof says he’s preparing a billboard campaign that links himself with Dean Heller and Adam Laxalt — two prominent Republican candidates who distanced themselves from him shortly after his primary victory. 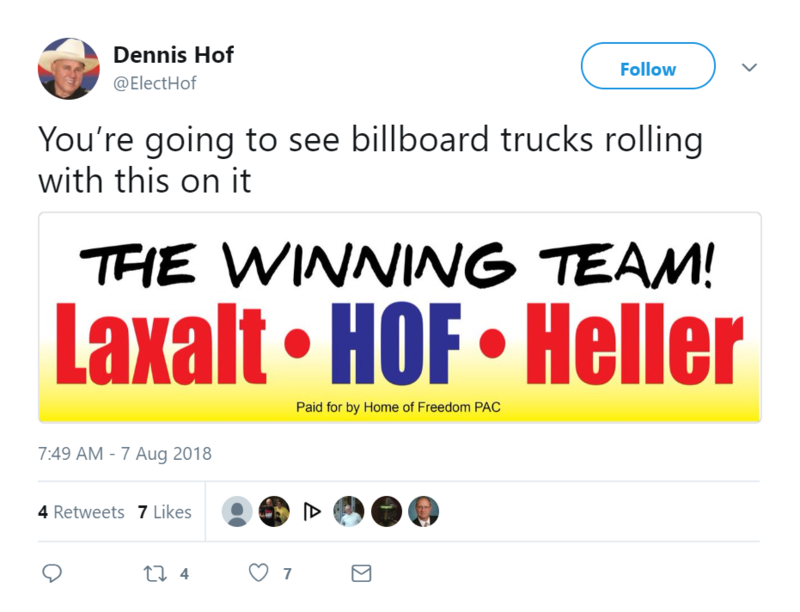 A screenshot of Assembly candidate Dennis Hof’s planned billboards on Aug. 7, 2018. Updated at 4:10 p.m. on Aug. 7, 2018 to reflect Hof changing the disclosure on the ad.